The Passmore Edwards Institute trustees maintain an insurance policy with Ansvar Insurance through Norris & Fisher Insurance Brokers Ltd.
Public liability cover is included for charities and non-profit organisations provided certain conditions are met. YOU ARE RESPONSIBLE FOR YOUR OWN INSURANCE. PLEASE READ OUR POLICY CAREFULLY TO SEE IF IT PROVIDES THE COVER YOU NEED AND THAT YOU QUALIFY FOR COVER. 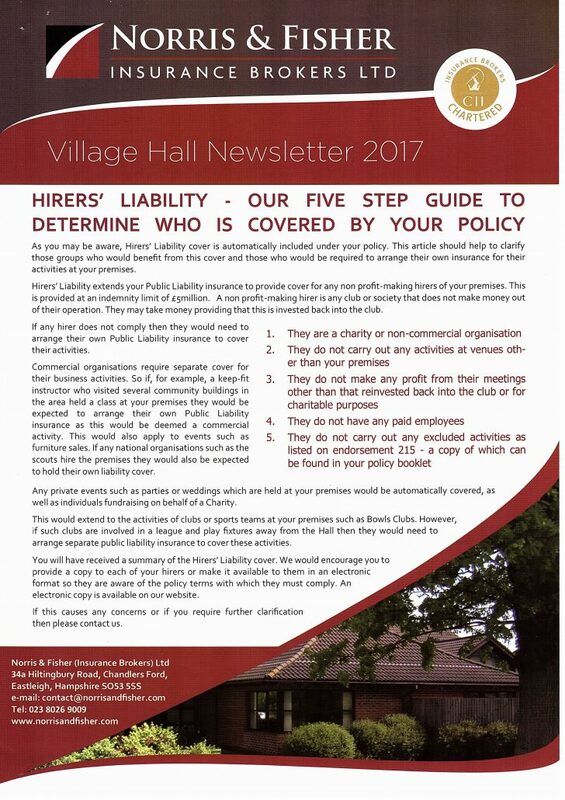 Click the link for a pdf copy of the information above: 20170623 Norris and Fisher Policy Hirer’s Liability Cover. It is your responsibility to ensure that you have adequate insurance for the activity you are undertaking. The Passmore Edwards Institute offers the above information which is accurate to the best of our knowledge. However, our insurance is primarily to protect the building and the trustees.